Spent the week refactoring the builder. 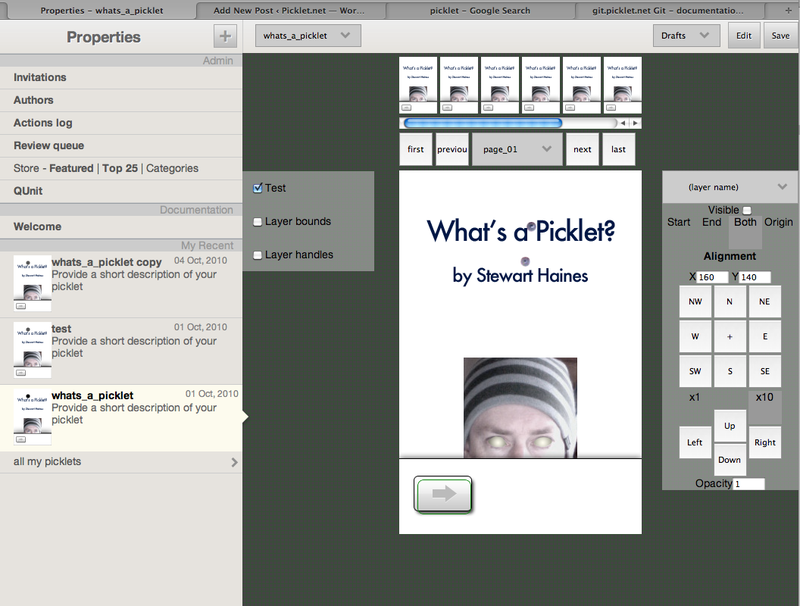 It’s been over a week since I’ve had a working version of the picklet builder in my development environment. Getting antsy. I’ve been refactoring a bunch of the interface stuff to enable better manipulation of the picklet representation – adding, removing, reordering panels and layers.